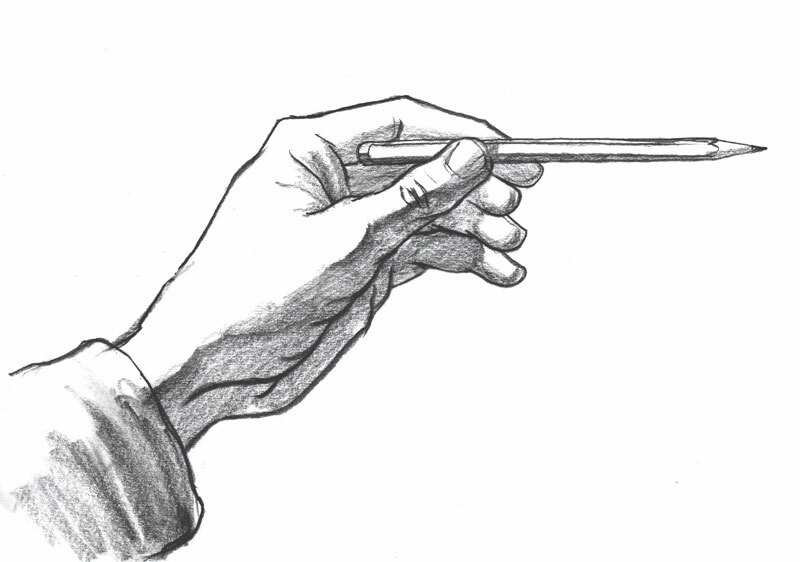 Somehow we have to work out the angles of the things we see in the world around us as they should appear on the paper. Using the pencil to create a horizontal and vertical to assess angles against. 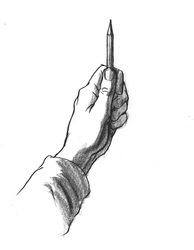 Hold the pencil so it horizontal to your eyes and parallel to them. Be careful not to let it bend away or towards you. Look for the angle at which the edges of things meet your pencil. 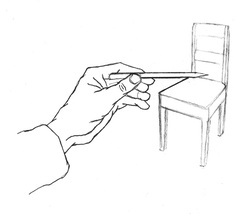 Here there is a clear angle between the edge of the seat of the chair and the horizontal pencil. 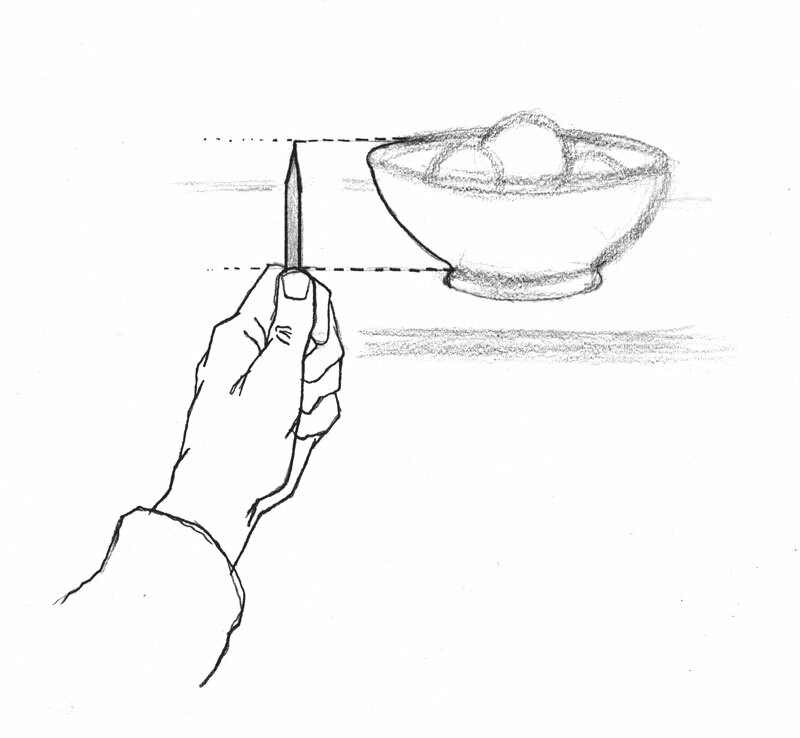 When you assess angles in this way your pencil is acting the role of the horizontal and vertical lines on the window or picture plane of the drawing . 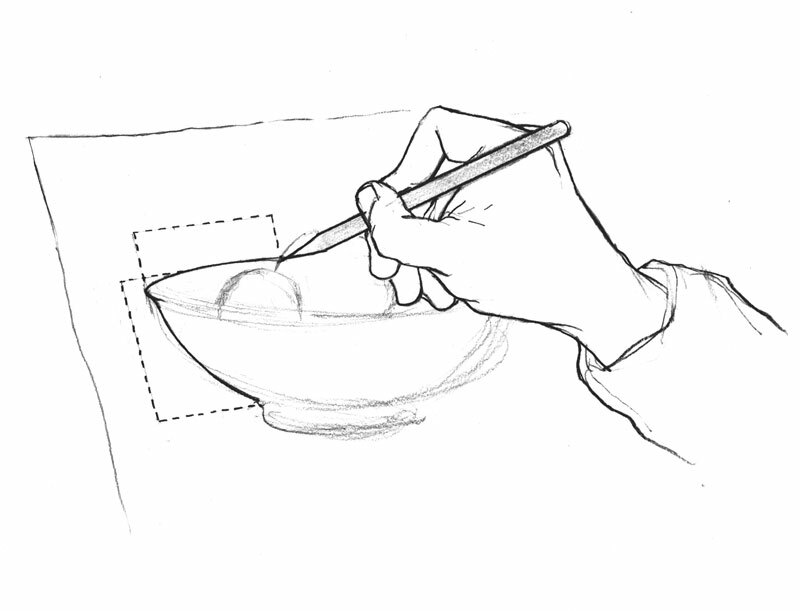 Look for the horizontal and verticals in what you are drawing early on and relate them to the paper edges. 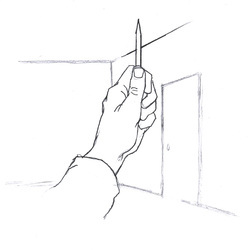 Verticals are easier to find than horizontals – the door frame and vertical where the walls meet in the drawing above for example. Verticals in real life usually remain verticals in drawings. Do not confuse horizontal with things that are parallel to the floor – these are more often at an angle to your innate sense of the horizontal - as the chair seat is in the drawing above. Horizontal means horizontal to your eye.You can also think of it as being horizontal on the picture plane. 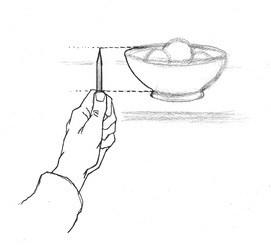 If you use it to measure with , as below, you must always have it at the same distance away from you ie your arm needs to be stretched to the same distance each time you measure. With your thumb and the end of the pencil you can measure the distance between two points. The same length has been held horizontally to find the same distance between the furthest point of the rim and the big apple. 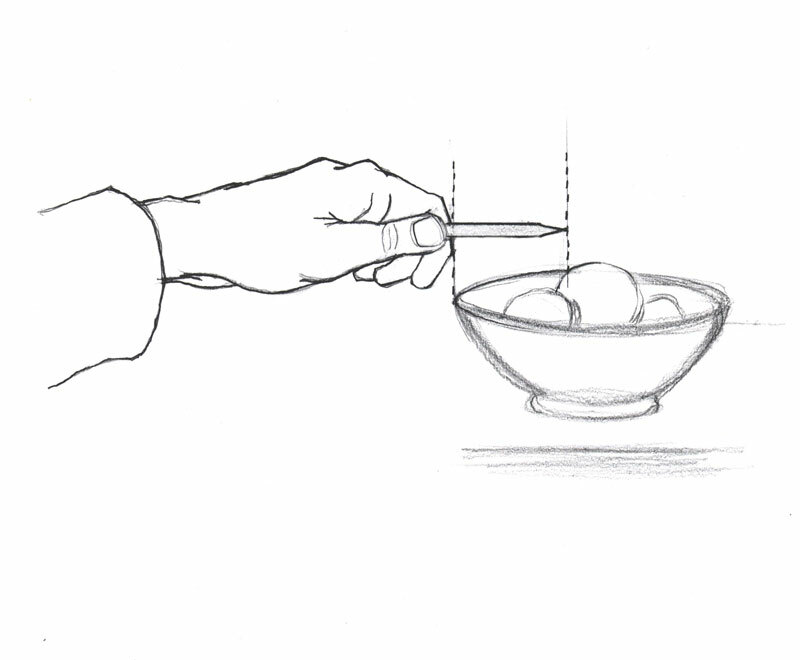 You can then use a particular distance (here it is the height of the bowl from rim to beginning of base) as a basic unit of measurement that you can use to determine other lengths . 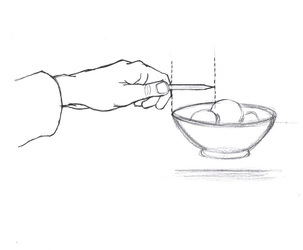 Use the techniques suggested above to plot, plan and measure a drawing. 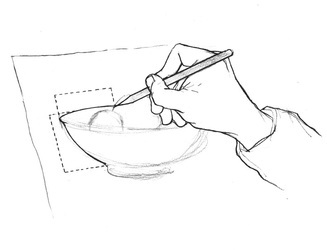 The early stages of your drawing may be a whole set of marks that only mean something to you.